Aerophon #2 features a leathery bagpipe-like cavity that appears to breathe. Inflating with air, the central body of the sculpture opens and closes cyclically by releasing hollow long notes, only to refill once more. 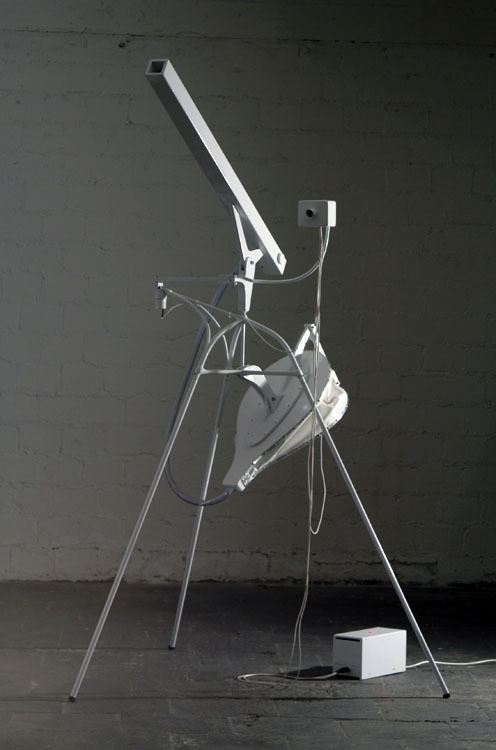 Positioned as if it were part of a mysterious galactic research station, this sculpture is activated by viewers and resembles devices used in B-movie depictions of lunar landings and terrestrial exploration.